A while back, I told you about Glance, a framework for wearables and other devices. Quick history review, Glance was born out of our frustration with rebuilding basic Oracle Cloud Applications notification functionality each time a hot new wearable device dropped, e.g. 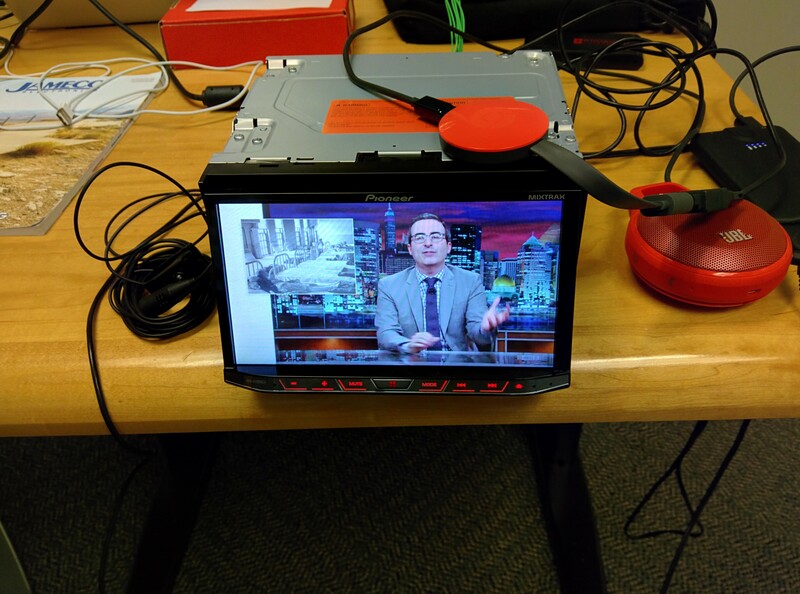 Google Glass, Pebble, Android Wear, etc. So, by the time the Apple Watch launched, we had a solution ready, and we designed Glance to be a framework so whenever the next, new hotness came around, we’d have most of the work already done. 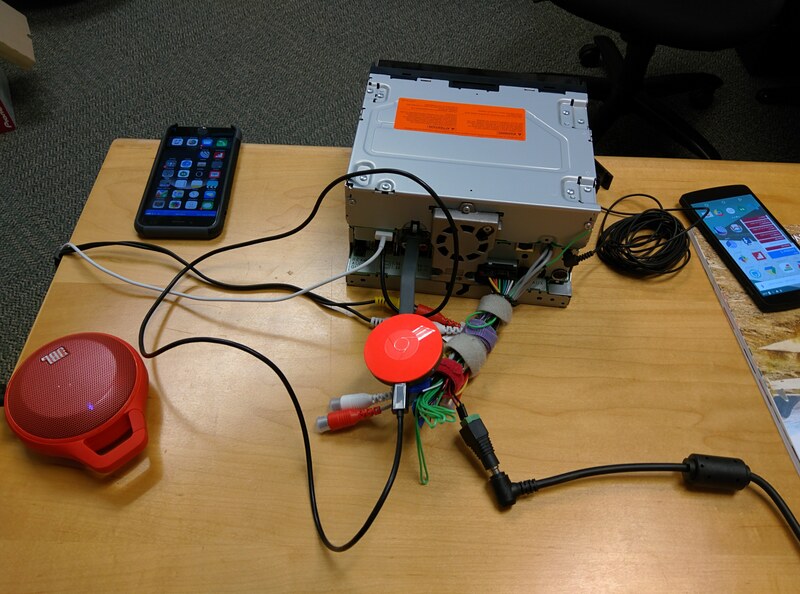 Enter the connected car, specifically, Android Auto, with which Noel (@noelportugal) has been tinkering since its launch. Maybe the connected car won’t be the next, new hotness, but it’s our passion to investigate, build and research everything we can to benefit our users. Best. Job. Ever. Am I right? 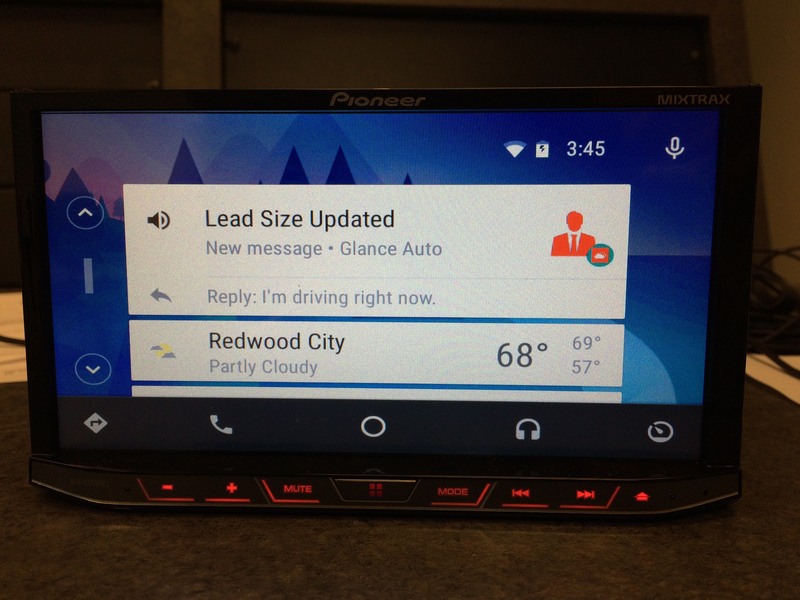 Anyway, connected car solutions like Auto and Apple CarPlay are similar to smartwatch ones, purposefully limited interactions, designed to minimize distractions and maximize the glance in the OAUX design philosophy, glance-scan-commit. 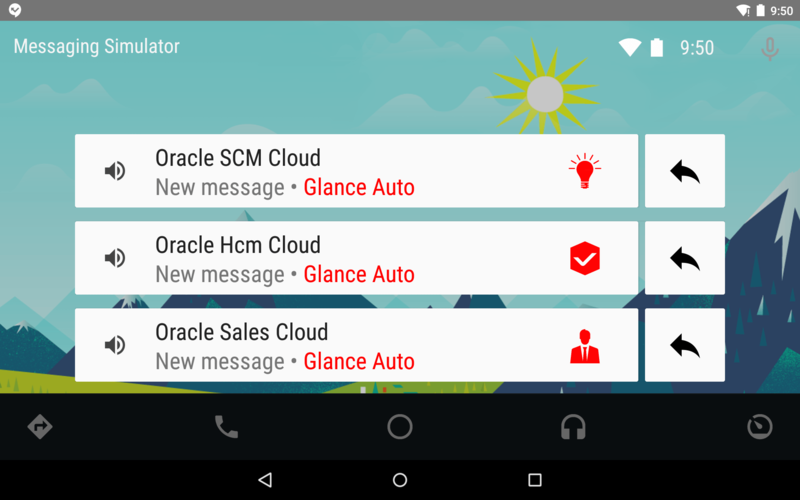 Noel had some basic Oracle Cloud Applications notifications flowing to the Auto simulator way back in the Spring, but we put that effort on hold to focus on the Apple Watch. 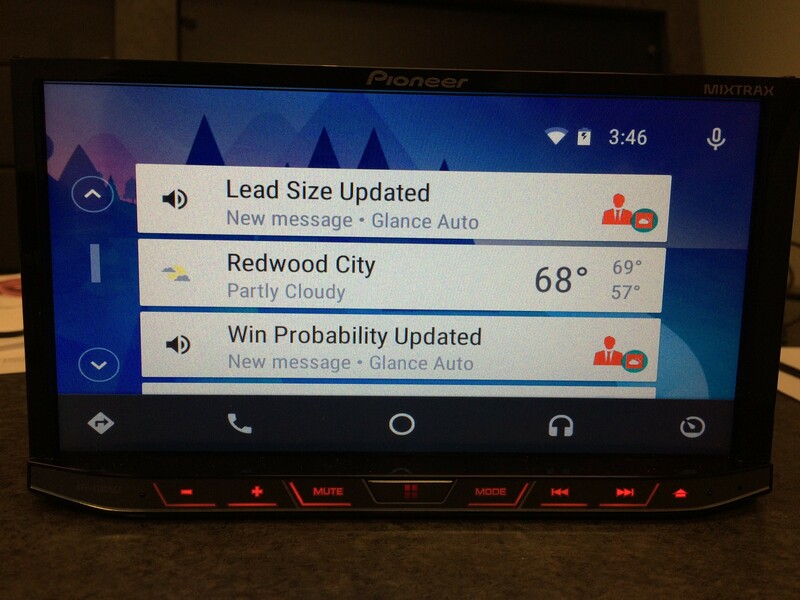 Plus, without a head unit, Auto just looked like a tablet app. Waiting paid off in that department because over the past six months, several car electronics manufacturers have begun selling after-market head units that support Auto and/or CarPlay. Heading into Oracle OpenWorld (@oracleopenworld), which is next week (eek! 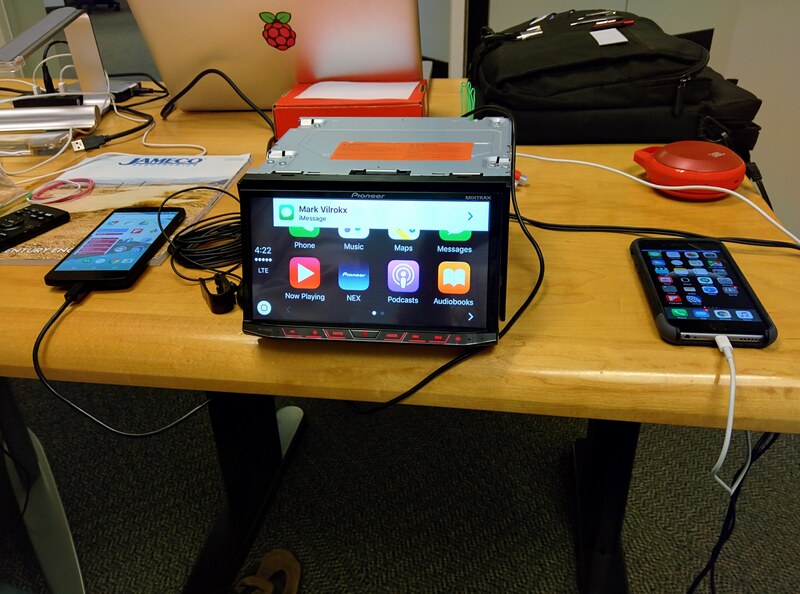 ), Noel and I wanted to get Glance working on a head unit to show off at the OAUX Exchange. There will be lots of Glance shown on the Apple Watch, but we want to emphasize it’s a framework, not an Apple Watch-specific solution. 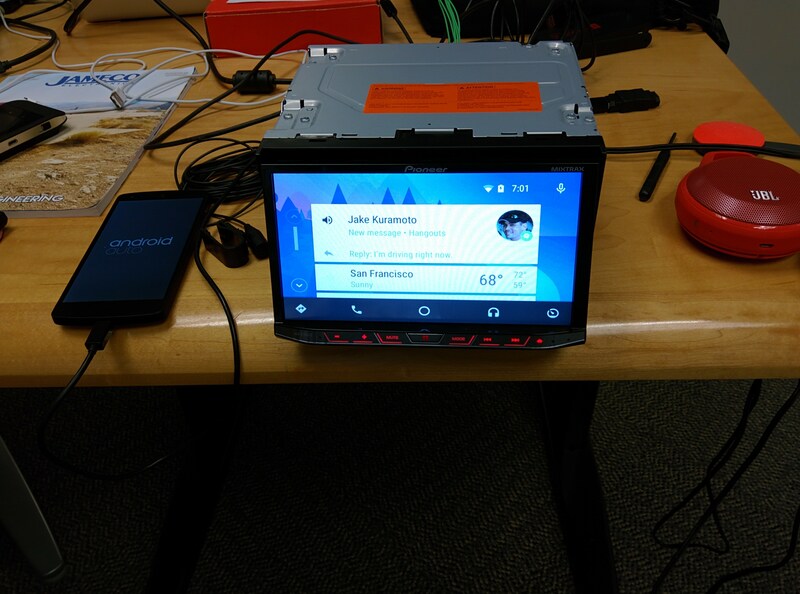 Noel did some research at his local car-modding store and chose the Pioneer AVH-4100NEX, which supports both Auto and CarPlay. This is the model down from the top-of-the-line Pioneer AVIC-8100NEX, recently reviewed by The Verge, if you’re interested. Powering the head unit was an adventure. Luckily, Noel knows what he’s doing because ultimately, outside the car, the head unit requires a 10 amp power supply. You read that right; that’s about five times more juice than your average tablet power supply pushes. Of course, once he got it running, Noel and I kicked the tires, checking out the basic features of CarPlay and Auto. Turns out they’re quite different. CarPlay is very much like basic iOS, just bigger and less functional, by design. 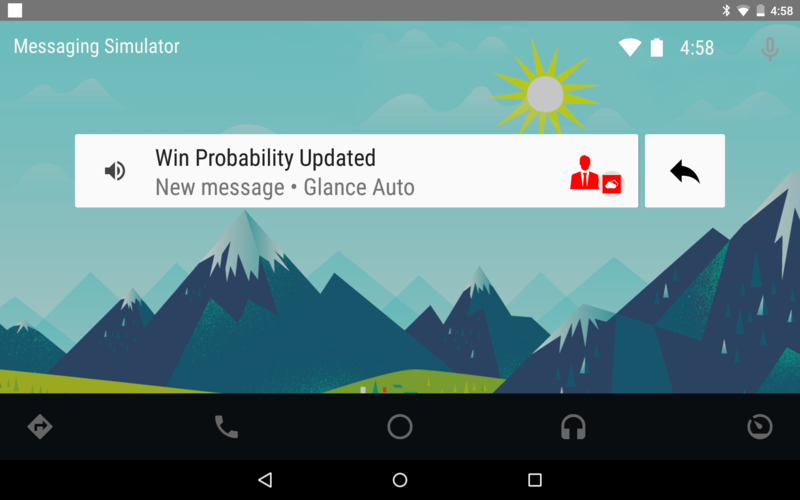 Auto follows a Google Now card-based approach, providing very little beyond basic information, again, by design. And of course, Noel had to get his new Chromecast working on the Pioneer’s seven-inch resistive touchscreen because, well, he’s Noel. The head unit has an HDMI input on the back for in-car entertainment, but using the input while the car is not in park is impossible for obvious safety reasons. Unless you’re Noel, and you figure out how to fool the unit into thinking the car is in park. Just yesterday, Luis (@lsgaleana) and Osvaldo (@vaini11a) got Glance running on the Pioneer, and we’re now ready to show it next week. If you want to see Glance in action on Android Auto or on the Apple Watch, sign up for the OAUX Exchange on Monday, and stop by and say hi. Oh wait, Noel and I won’t be there. Did you hear we’re running a Quest with OTN? See you in less than a week.